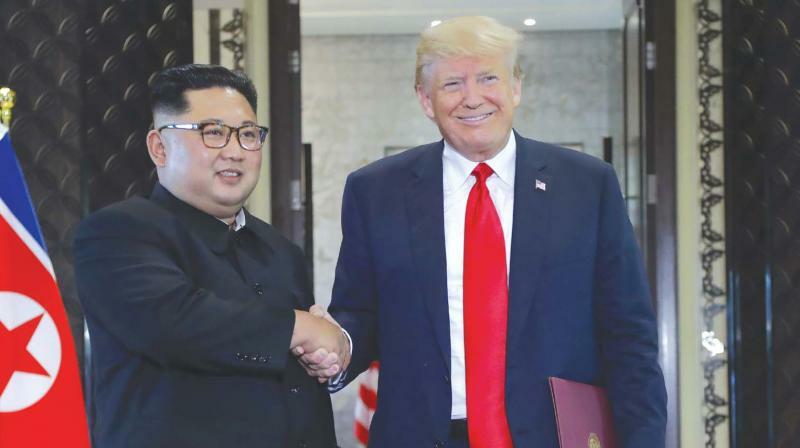 US President Donald Trump and North Korean leader Kim Jong Un will meet for a second much-anticipated summit in Hanoi. Biegun landed at Osan US Air Base late Friday, foreign ministry spokesman Noh Kyu-duk told AFP. The State Department confirmed Biegun agreed to meet his North Korean counterpart Kim Hyok Chol again before the leaders' talks. Discussions on declaring an end to the 1950-53 Korean War could also have been on the table, with Biegun last week saying Trump was "ready to end this war." At their landmark summit in Singapore last year, the mercurial US and North Korean leaders produced a vaguely worded document in which Kim pledged to work towards "the denuclearization of the Korean peninsula." But progress has since stalled, with the two sides disagreeing over what that means. Experts say tangible progress on Pyongyang's nuclear weapons will be needed for the second summit if it is to avoid being dismissed as "reality TV."